LAWRENCE — The Dole Institute of Politics at the University of Kansas will screen the documentary “Harvesting the High Plains” at 3 p.m. Tuesday, March 10. 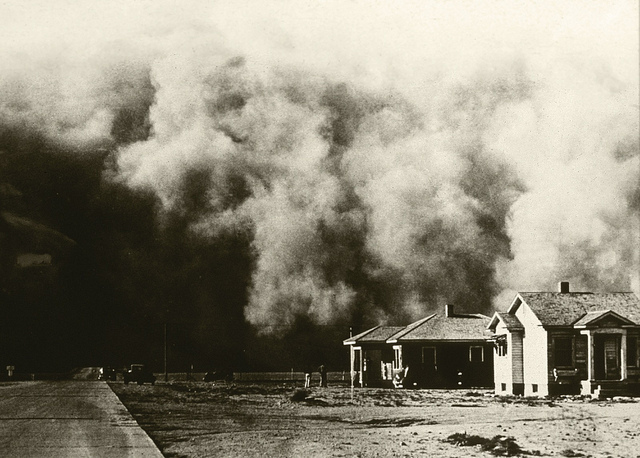 This documentary chronicles the challenges two men faced, searching for a way to harvest in the midst of the Dust Bowl Era. Director Jay Kriss will introduce the film and take audience Q&A directly following. The film is inspired by the novel of the same name, written by Craig Martin, a professor at Wichita State University. It is narrated by Mike Rowe, of Discovery Channel’s “Dirty Jobs,” and has been featured on PBS affiliate stations across the U.S.
Kriss has more than 34 years of experience as a camera operator and cinematographer and is now a director. In addition to “Harvesting the High Plains,” Kriss has also directed the documentary “1000 Miles.” He currently works on his own projects through his production company, Inspirit Creative, with partner Sydney Duvall.